Condition monitoring system with intelligent software and cloud connection: Up to six sensor units can transmit their signals to the processor unit, which then processes the raw data to create the relevant parameters. 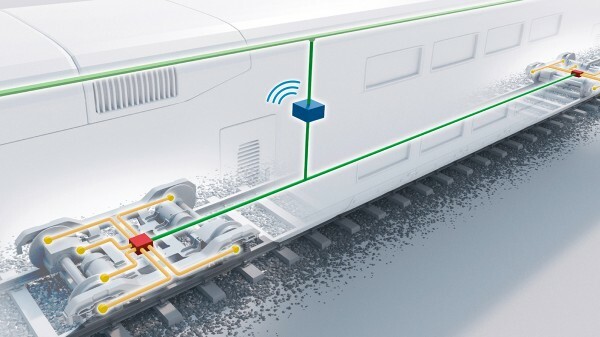 Schaeffler has developed a condition monitoring system (CMS) with intelligent software and a cloud connection for the digitalized monitoring and optimized maintenance of entire motorized and trailer bogies in passenger trains. This allows higher average speeds, greater mileage, and longer maintenance intervals to be achieved while also increasing operational reliability at the same time. 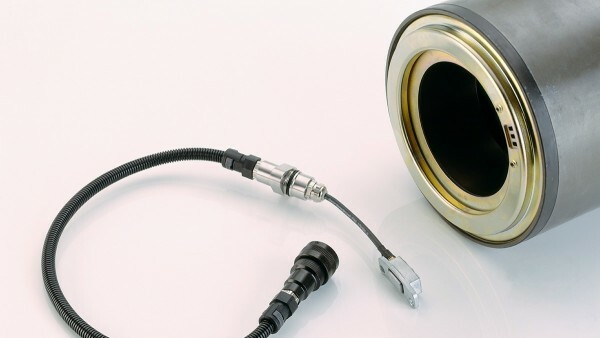 The operator/maintenance technician can monitor the condition of individual axlebox bearings through to complete wheelsets and bogies from anywhere in the world via an internet connection. Today’s freight trains generally don’t have their own electrical equipment. At the same time, however, modern functions such as GPS and condition monitoring mean that electrification is a must. Schaeffler’s axlebox generator provides an independent and reliable power supply for every railway application. 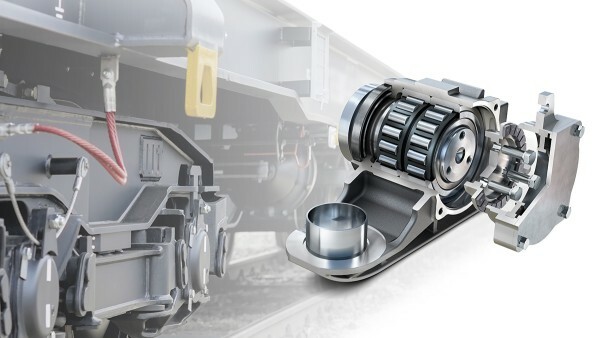 The system is flange-mounted directly to the axlebox and can also be retrofitted on freight cars that are already in use – which means that it makes a significant contribution to improving the cost-effectiveness of rail freight traffic. In both versions of the axlebox generator, the various generator components are fitted into the end cap of a standard housing (UIC / Y25) and cast or screwed into the housing cover. This means that the system fits into the available design envelope and can be installed as a 1-to-1 replacement for the standard housing components. While the magnets that are integrated into the end cap function as a rotor as the axle rotates, the coils in the housing cover remain stationary and act as a stator. The electricity that is produced is stored in an accumulator and is thus also available when the vehicle is standing still. The FAG sensor kit has been successfully used for measuring operating data on axlebox bearings throughout the world for many years. It is optimized for use on FAG TAROL bearings and detects speeds up to 2500 rpm, the direction of rotation and bearing temperature. Two independent temperature sensors can be integrated for temperature measurement. Acceleration measurement in a radial and axial direction is available as an option. The FAG sensor kit operates wear-free and meets requirements for increased EMC und excess voltage protection.